That’s especially true in times of conflict and transition, like the ones we are living in now. Approaches to teaching civics have been as volatile as the country’s history. Horace Mann, common school advocate in the mid-19th century, believed that schools should teach only those values that everyone agreed with, such as charity and justice, recounted the educational historian David Tyack in Seeking Common Ground: Public Schools in a Diverse Society. At the time, “everyone” meant people like Horace Mann—white, wealthy, Protestant, and native-born, not the immigrants who poured across the Atlantic. Later in the 19th century and into the 20th, the government waded into programs of Americanization, trying to replace the influence of the family with the power of the state in teaching how to be an American citizen. Such inculcation through schools included Native Americans early on and Japanese Americans later, after World War II. In contrast, with the cultural upheavals of the 1960s and ‘70s, many school districts began treating each culture as something to be celebrated rather than repressed. Today we live in a period of such conflicts, and I take absolutely nothing for granted in teaching civics. So I try to mix traditional and contemporary approaches. On the traditional side, I ask my students to memorize lines from the Declaration of Independence and Lincoln’s speeches, especially those that focus on difficult compromise and principled revolt. I hope that phrases such as “We shall nobly save, or meanly lose, the last best hope of earth,” and “it is their right, it is their duty, to throw off such Government,” will ring in students’ heads well into adulthood, inciting them to action. When I first taught eighth-grade history, I required students to memorize a lot more. On tests they had to regurgitate names that educated Americans barely remember, such as John O’Sullivan with his Manifest Destiny theory or Frederick Jackson Turner with his frontier thesis. For women’s suffrage, students had to spit out a litany of names rather than just a few who could serve as touchstones, such as Elizabeth Cady Stanton, Ida B. Wells, or Alice Paul. With civics and the Constitution, I also used to include details that no longer matter as much to me, because they mire students in minutiae at the expense of deeper understanding. My middle schoolers no longer have to know the exact number of the amendment that limits presidential terms, but rather why it happened and in response to what. My eighth-grade U.S. history students conduct discussions on their own, pose questions that provoke and unsettle, and challenge authority—including and especially mine—with respect. Broad educational shifts, such as evolving state standards, have definitely influenced me to focus more on depth and less on breadth when teaching both civics and history. Even Advanced Placement history exams have been overhauled in the past several years to emphasize thematic understanding over disconnected details. Yet even this kind of conceptual focus on the broader picture has not always felt like enough. In the past several years, to get students to engage and think like citizens, I’ve found that I have to do a heck of a lot more than ask them to understand the past and dissect the present: I need them to create the future in my classroom, right now, through discussion and debate. I need them to be leaders in the classroom, not just participants, so that they can imagine presiding over boardrooms, civic groups, and family conversations in the future. And so, on the best days, these eighth-grade U.S. history students conduct discussions on their own, pose questions that provoke and unsettle, and challenge authority—including and especially mine—with respect. After all, the laws of a country mean little without the ability of leaders and citizens to listen to other views and believe that our laws mean something. 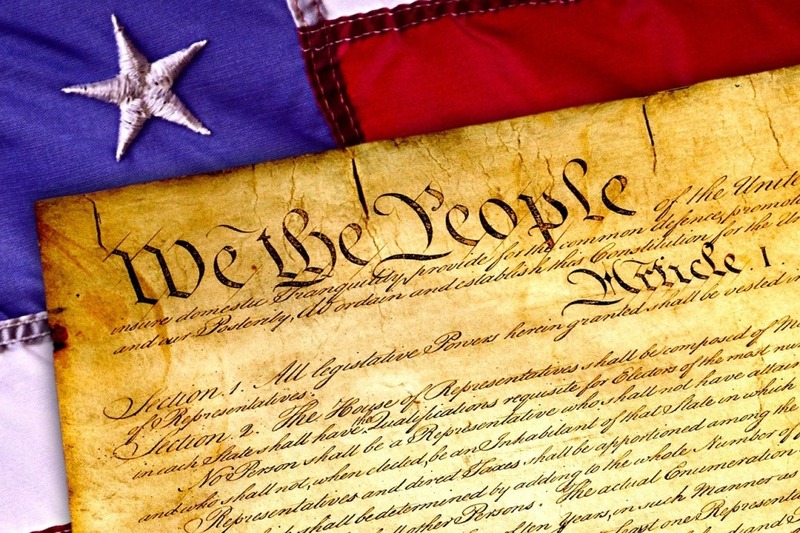 The Constitution remains powerful only in that citizens have gifted it that power over two centuries and counting. As Horace Mann foresaw, open dialogue breeds discomfort. When we examine Black Lives Matter or gun control, some of my students lean in, while others squirm and slouch. I tell them that these discussions are supposed to be uncomfortable. And each Friday in my classroom, several students bring up such uncomfortable issues in their weekly current events presentations. The presenter summarizes a news article and gives the reasons he or she chose it. Everyone writes down a question or comment—and then the floor opens for discussion. The presenter fields questions on everything from how to prevent nuclear war, to why there are so many homeless people in Los Angeles, to what abortion looked like before Roe v. Wade. Week by week, we work on solving problems together. When I first started teaching, students did these weekly presentations, but we talked about their articles only for a few minutes, and the questions came largely from me. In an attempt to make my classroom feel more democratic, I realized a few years ago that more of the power needed to be in students’ hands, at least one day a week. In our national discourse, Levinson’s kind of metacognition might inspire those who talk too much to listen more, and those who don’t talk enough to speak up already. By fostering such reflective questions about how we talk, civics education can also create new lenses through which students can view the world. I see kids change their perspectives in my classroom every week. For instance, once they understand how a concept such as federalism relates to marijuana or immigration laws in California, they begin to ask about how people in other states are affected by these issues. The thought that someone in Texas might possess entirely different rights than someone in Los Angeles shocks them. They sputter at what seems to them the unfairness of it all. If we’ve just discussed the road to Civil War, I’ll link civics to history—ask them to imagine what it might have felt like to be bound under even more serious state-to-state conflicts, such as the Fugitive Slave Law. Not all of these discussions come easy. Sometimes the political opinions that the presenters express, in our majority but certainly not entirely liberal school, land the wrong way for a student who believes in pushing tax cuts or loosening gun restrictions. Sometimes I worry that those in the ideological minority don’t even want to talk because they don’t feel it’s worth it. And so I occasionally step in to play devil’s advocate for whichever side is not getting enough airtime on an issue, to remind students that our classroom bubble is not the world’s bubble. The ultimate perspective that I hope for my students is that they assume a little more humility than adolescents (or adults) typically do. When I ask them what they don’t know about an issue, I want these eighth graders to remember that they need to rely not only on themselves for answers to civic problems, but also on the people around them. Often I’ll bring in a historical primary source to make a point like this, such as a speech that the not-always-humble Ben Franklin gave to the Constitutional Convention in September 1787. Franklin’s ability to step back from the debate is the real inoculation I’m looking for as a civics teacher and a citizen. Not a syringe filled with terms such as ratify and suffrage, but one packed with a heavy dose of self-doubt. And it should be a big enough dose for our children to understand that raising citizens, and being citizens, can be as messy and pungent a process as four months of sitting in a hot Philadelphia summer, until you’re ready to call something good enough, for now. Sarah Cooper teaches 8th grade U.S. history and is dean of studies at Flintridge Preparatory School in La Canada, California, just north of Los Angeles. She is the author of Creating Citizens and Making History Mine.